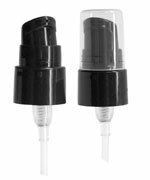 Try using these clear PET cosmo round bottles with black twist top caps for your product line! 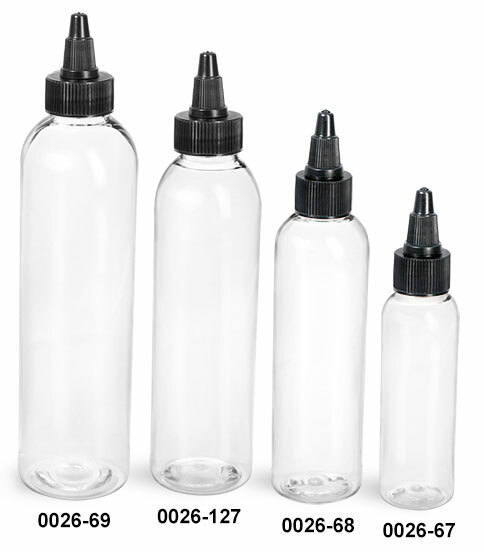 Available in four convenient sizes, these clear plastic bottles could be just what you need to dispense products such as inks, glues, paints and more. To open the cap, simply twist the tip counter-clockwise. To help preserve product freshness, close the cap by twisting the tip clockwise.